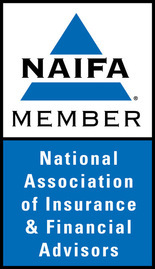 Having the right insurance coverage is important because there are numerous, legitimate circumstances in life that warrant an insurance claim. But does insurance leave any potential for manipulation? Absolutely. After all, with as big as some insurance payouts can be, who wouldn’t want a slice of that sweet, sweet money pie? Well, as insurance history has shown, there have been countless situations around the world where people made up information or hurt themselves on purpose with the sole intention of getting an insurance payout. So if you’ve ever claimed to be hit by a flying Christmas tree while driving, or that your smartphone got wedged in the back end of a cow, you can understand where we’re coming from when we say that we might be a little suspicious. In today’s somewhat obscure blog post, your Hendersonville insurance experts here at Laurel Insurance Partners are going to go over some bizarre insurance claims. From life insurance claims to Medicare supplemental insurance and more, don’t forget that our team of professionals is ready to help Hendersonville residents sign up for Medicare, determine their Medicare eligibility, and provide North Carolina with other important insurance services. 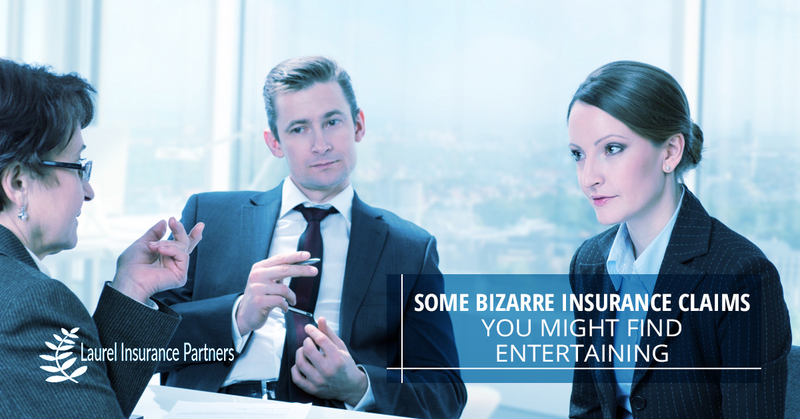 Learn more by visiting our services page, and read on to learn about some of these interesting and arguably ridiculous insurance scenarios. Let’s take a look. Restaurants and food establishments around the United States (and the world) are held to fairly strict health standards, and for good reason. Well, sometimes rogue customers will bring in something that clearly shouldn’t be in or anywhere near their food, with the intention that they can sue the establishment for their negligence. While that’s a shoddy and unethical thing to do, it happens – take Carla Patterson of Virginia, for example. Carla tried to ‘tap’ a Virginia Cracker Barrel restaurant for a half million dollar insurance settlement after ‘discovering’ a mouse in her vegetable soup on Mother’s Day, of all days. After her claim that there was a mouse in her vegetable soup, the national chain restaurant decided the investigate the matter a little further, and actually found that the mouse had no soup in its lungs (gross, we know). Therefore, the mouse had not been cooked, and the jury believed that the only way the mouse could have appeared in the soup is if she put it there. Her plan to make a cool $500,000 off of Cracker Barrel backfired and instead was sentenced to one year in prison for conspiracy to commit extortion. Is this one a risky move? Definitely, but it didn’t stop Nicolas Di Puma of Delaware from trying. Sure enough, he torched his own home and his own convertible vehicle in an attempt to collect on his homeowner’s insurance and his auto insurance. Di Puma claims that it all started when his pans on his wood stove ignited while he was cooking. Then, buckets of coal caught on fire. After trying to extinguish the inferno, Di Puma said that he then threw the first bucket out the door, where it apparently landed in the backseat of his convertible. When en route to tossing the second pan outside, he tripped and the coals landed on his sofa. Well, like you, law enforcement also thought that it was unbelievable. Sure enough, Di Puma pleaded guilty to second and third degree attempted insurance fraud. A North Carolina lawyer once purchased a box of expensive cigars and insured them against flooding, storm damage, and of all things, fire. As you were probably able to guess, his investment went ‘up in smoke’ within a month, in which the lawyer filed a claim with his homeowner’s insurance company, stating that he was owed compensation because the cigars were ‘lost in a series of small fires.’ Sure they were. Naturally, the insurer refused to pay out his claim, correctly assuming that the man had smoked the pack himself. We know that our local Hendersonville residents are smarter than the people who made these bogus yet interesting insurance claims. Our Medicare supplement plans and Medicare enrollment services for Hendersonville are of course for serious and qualifying residents, but if you’re in the market for our insurance services, get in touch with Laurel Insurance Partners today!